My dad is the mayor of Hillview, Kentucky. This year, I got a felony charge for drug possession - and because of that I can never vote again. Now by the grace of God I'm 9 months clean. I wish I could vote again, to elect more honorable people to office. I'm sharing my story to help other families facing this battle get the support they need. If you can vote, I hope you'll promise me that you will. 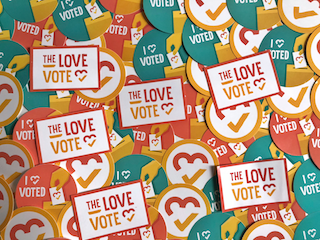 Show Allen love + inspire others + get voting info + get event invites + get stickers + create change!